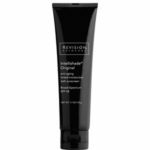 Intellishade® Original is a anti-aging tinted moisturizer with sunscreen. Formulated with a blend of three peptides and broad-spectrum UVA and UVB protection, it’s the smart way to care for your skin. 94% of clinical study participants experienced smoother, brighter, more even-toned skin*.